WOW! Didn’t January just fly by? Well a new month means a new list of seasonal ingredients that Ellie from Ellie’s Kitchen UK recommends you cook with. Cooking seasonally is a really great way to introduce your family to new foods each month and is sure to give your meals diversity and interest. It’s cold outside so this month’s suggested ingredients are all perfect for hearty dinners that will warm you and your family right up! 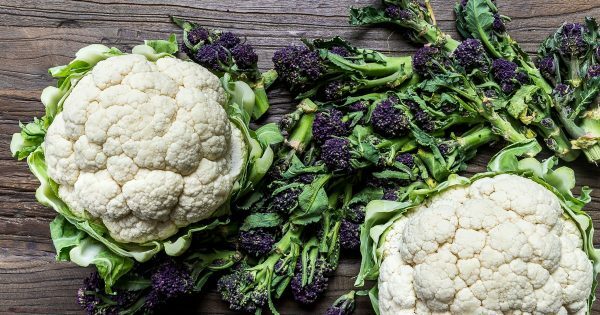 Cauliflower – Cauliflower has become quite a trendy vegetable recently and is a perfect meat substitute in curries and stews! It holds flavour really well and is really easy to cook with beyond just steaming it as a side. Swede – The sweet tasting yellow flesh from a swede can be cooked in much the same way as other root veg such as potatoes. It’s a colourful alternative to regular mash and lovely for topping cottage or shepherd’s pie! Purple Sprouting Broccoli – This a cheap and cheerful ingredient for early spring dinners that Ellie suggests using in pasta and stir-fry dishes. Kale – Perfect for beating away any lurgies that are going around kale is a great addition to soups or pasta dishes when chopped finely. For more info on seasonal ingredients or great recipes to try, don’t forget to visit Ellie’s Kitchen UK today!